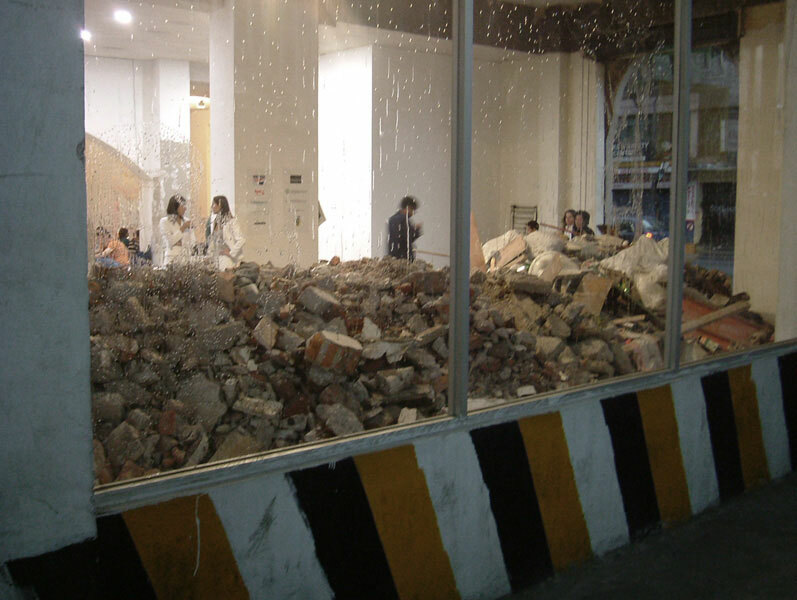 Intervention of an exhibition space during the opening of a group show. 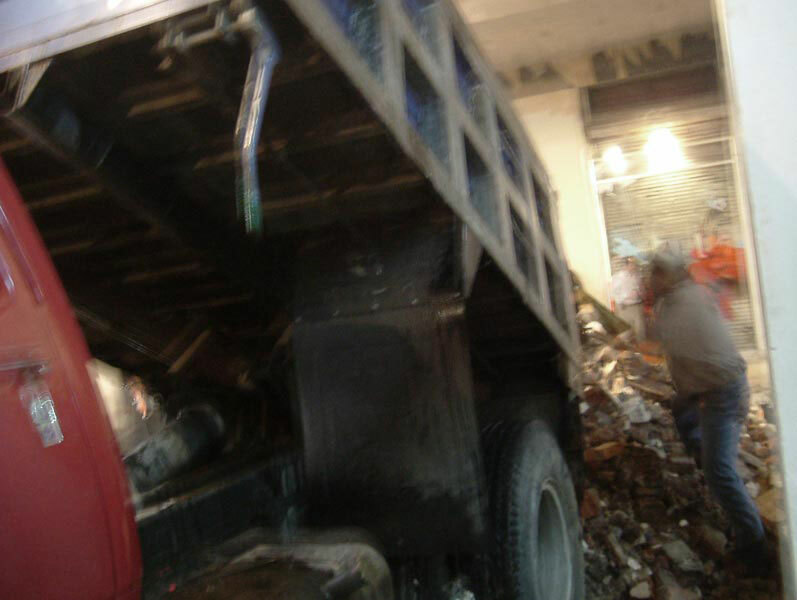 One by one, five dump trucks entered the room and dumped construction debris inside. 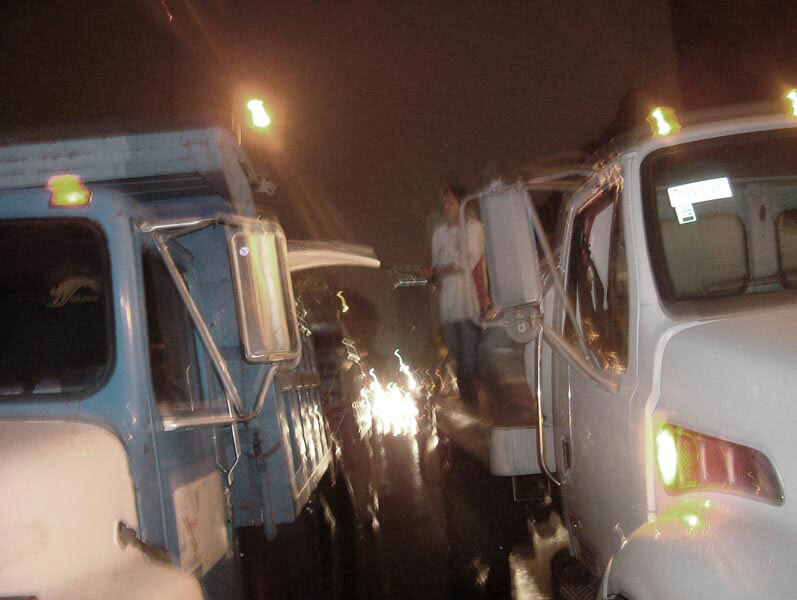 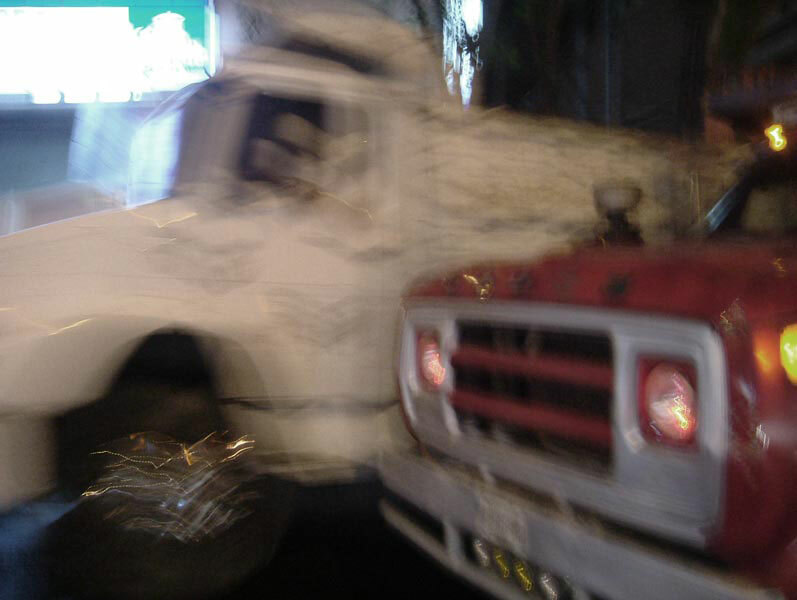 The performance started on the street where the movements of the trucks to get in and out of the space interrupted the traffic. 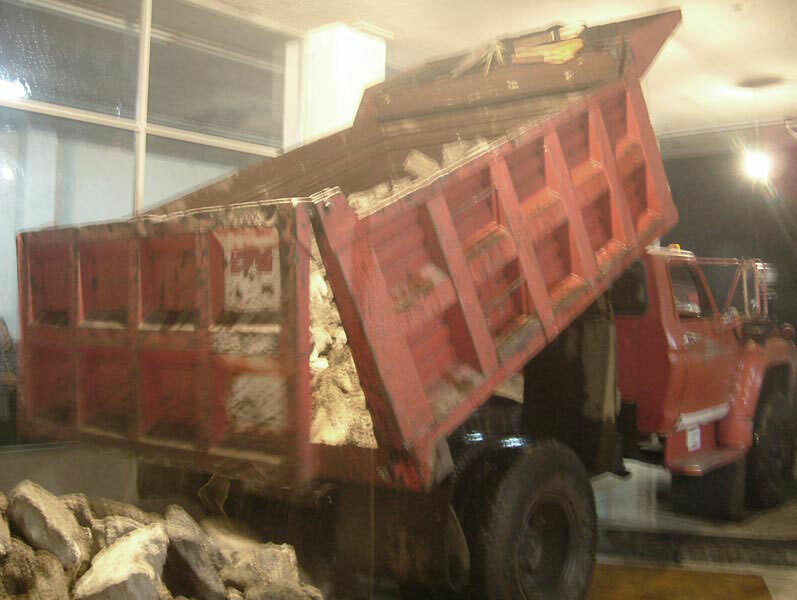 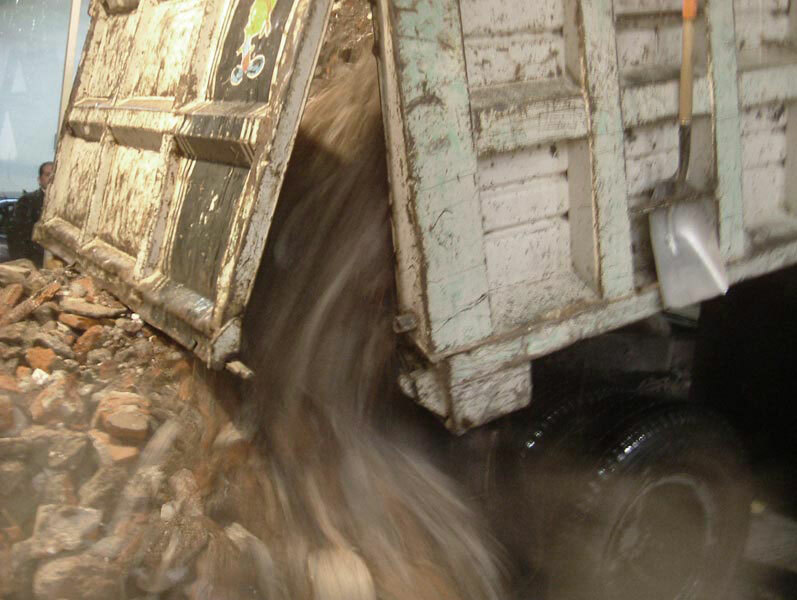 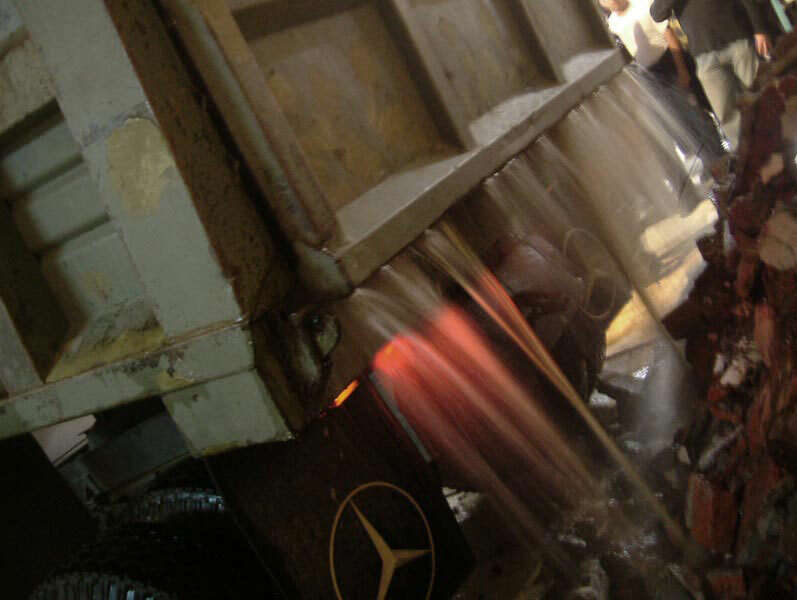 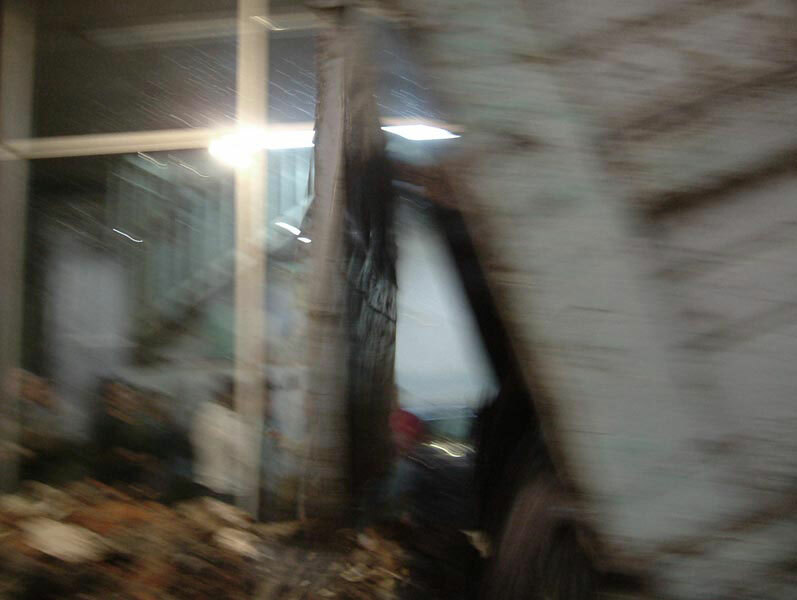 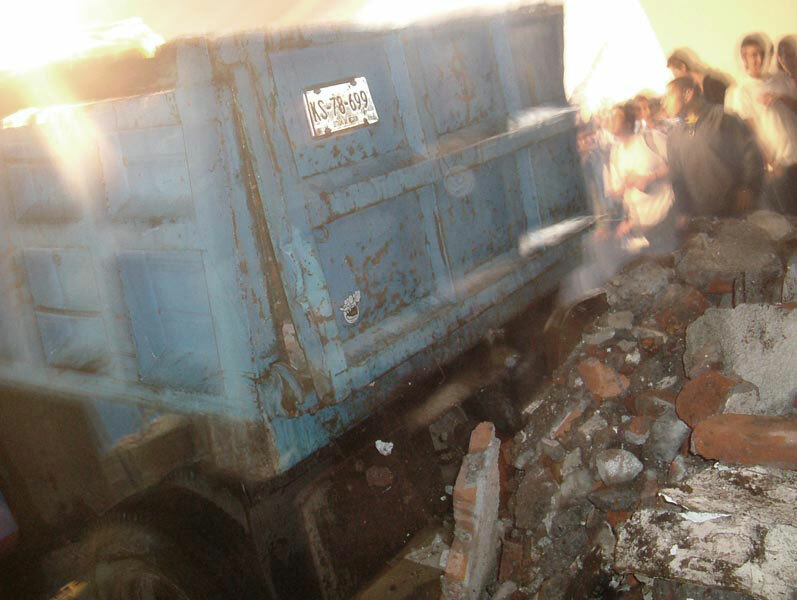 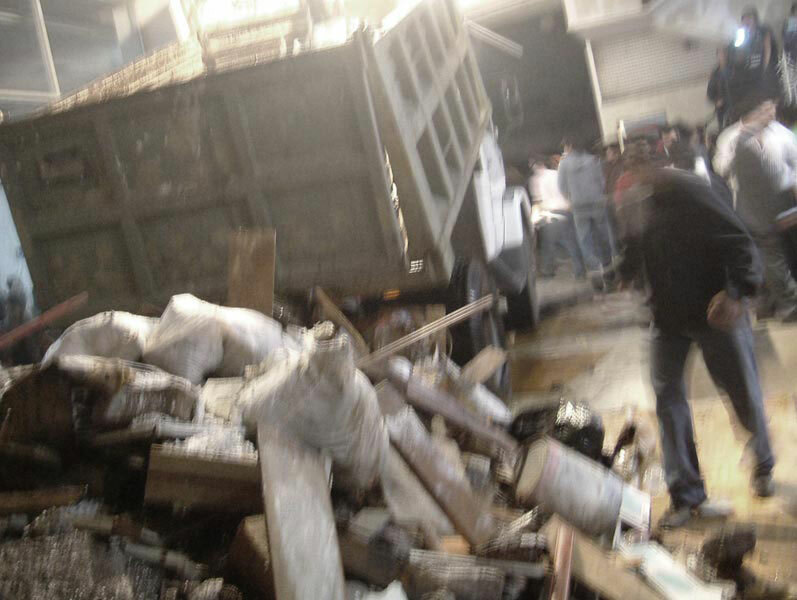 The materials dumped by the trucks had to be wet so the formation of a cloud of dust inside the building was avoided, but the excess of water flooded the gallery instead.